Now we can leave notes, reminders, pictures, just whatever. And we can make it as bright as we'd like! No more boring blah black. Much better! 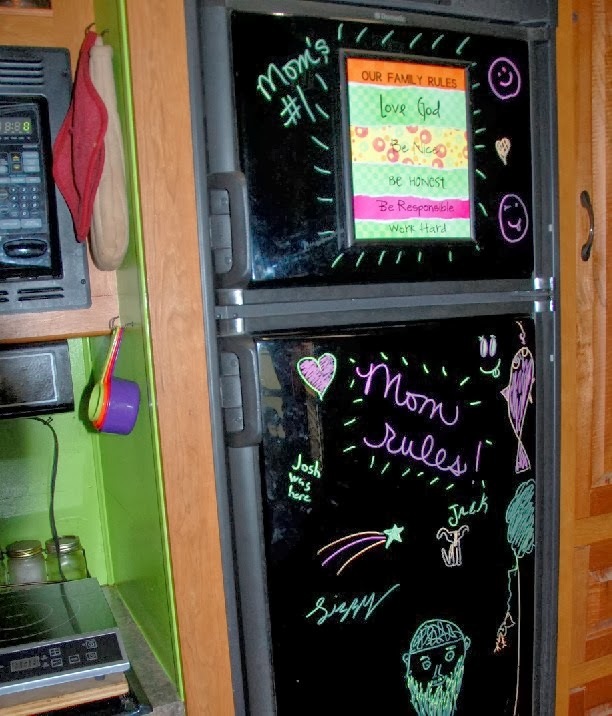 So glad I had this idea for decorating a refrigerator door. If you try it, make sure you test that the markers easily wipe off. Lizzy just started writing, but they wipe right off with cloth or paper towels.